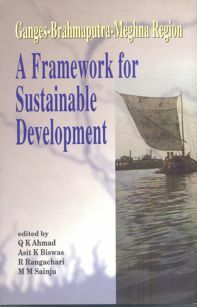 On the basis of research and cross-country dialogues carried out by water, development and other multidisciplinary experts/activists, this book makes a strong plea for an integrated, holistic approach to the development of the region, beginning with water resources. It points out that the abundance of water in the GBM region as a shared resource can serve as the principal agent of development for the millions of people living in the region. Through its analyses and arguments this book seeks to draw attention to the imperative of collaborative efforts on the part of the countries concerned in formulating a framework for the sustainable development of the GBM region. The book calls on the powers that be across countries to abandon old mindsets and join hands to come to terms with geophysical realities for the sake of the future of one-tenth of humankind.